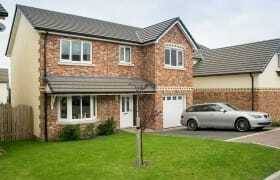 We chose Royal Park, Ramsey after viewing the same price second hand properties in the area. We were sold on the overall location, quality of build, finish of the homes and the high specification of fixtures and fittings. The fact that you are only five minutes walk from the beach and within easy reach of the shops made the choice easy. Any snags which arose after the purchase were dealt with promptly and we would have no hesitation in recommending the development and Hartford Homes to anyone. My girlfriend and I were looking to relocate to the north of the island and the Royal Park development in Ramsey was the first site we looked at. We were extremely impressed with the fantastic location and the modern style of the development and the other houses that we were considering couldn't compete with what Royal Park had to offer. From the first meeting we found Hartford's sales staff friendly, well informed and very willing to help with any bespoke requirements we might have for the property. 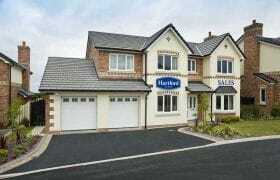 The purchase process was very smooth and Hartford kept us well informed of developments at every stage. After moving into the property we have found Hartford's After Sales Service to be way above anything that we expected. Their willingness to assist with any post sale issues, even smaller more trivial matters, has been fantastic. Our experience with Hartford Homes has been a very positive one and I would enthusiastically recommend them to anyone looking to purchase a new home.